The 2017 annual championships were hosted by New Forest Sailability over three days at Spinnaker Club in west Hampshire. It is a beautiful, albeit quite small, lake surrounded on many sides by trees often giving very variable winds and scope for wind shadow and this weekend proved no exception. Apart from some very light drizzle before the first race, the weather was kind being warm and generally sunny and the wind held in to easily allow completion of all 8 races and gave excellent sailing conditions for much of the time. Entries were low for the 2.3 and 303 one-person classes, with only three in each, whereas the 303 two-person had fourteen entries and the Libertys eight, however all classes saw very competitive racing. The first day, Friday, had a reasonable breeze broadly from the North and the Race officer set a straightforward triangle course of four laps. The trickiest section proved to be the windward mark since as the racing progressed and the wind lightened and varied giving the competitors a good challenge to read the shifts and efficiently make the mark. The second race for the 303 one-person resulted in a rare protest, which was amicable resolved with good diplomatic arbitration before having to go to formal protest committee. For the second day, the wind had veered through about 180 degrees to West of South and triangle/sausage courses were set. This introduced another dimension to the tactics and need for application of the racing rules, enjoyed by some, less so by others. With four classes on the lake at the same time with staggered starts not surprisingly the fleets met, particularly either head to head on windward and sausage downwind legs or at the leeward mark coming in both reaching and downwind. Good sport! By the end of day two’s four races there were fairly clear leaders in the 2.3 and 303 one-person classes, with it being the leaders’ series to lose. The leaders of the 303 two person were in a similar position, theirs to lose, followed by a tie for second place and all to sail for on the third day. The Libertys had a tie for first place between David Durston and Pat Crowley with Tessa Watkiss close on their heels only two points behind. After the Hansa UK AGM, over forty competitors, helpers and volunteers repaired to the Alice Lisle inn just nearby on another of the lakes for a very enjoyable Championship Dinner also attended by Ros Rogers the Commodore of Spinnaker Club and Ron and Steve Sawford from the Hansa UK management committee and trustees. Sunday, day three, had two races remaining and conditions were similar to Saturday and by popular consent the course reverted to a triangle. The 2.3 and 303 one-person leaders consolidated their leads. Natalia Hillman, the 12 year old leader with her crew Alan in the 303 two-person, had a less good day dropping five points but still retained a comfortable four point lead having gone into the last day nine points clear. The Libertys saw changes and the potential for the final race to be a decider. Pat Crowley moved into first place as David Durston struggled a bit with the conditions and slipped back four points. Tessa Watkiss on the other hand won the first race and so closed up to be just one point behind Pat. In the final race Pat exerted control by winning the race followed by Tessa in second place. The Hansa Endeavour Cup was presented to Rory McKinna, amply supported by his mother Angela, for the huge effort in travelling all the way in their “boat box” from Ayrshire in Scotland to compete. 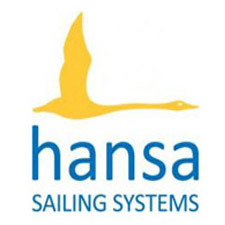 The Hansa Novice Cup was awarded to Stuart Foreman, who was competing in his first Hansa event and showed determination to sail every race, including one on his own. New Forest presented two further discretionary prizes, to Martin Hadley and Angela Cosford to primarily celebrate Martin’s long dedication to competing in Hansa events and being the leading representative over the years of New Forest’s race team and to Sarah Harrison for competing whilst being one of our recreational sailors and not benefiting from race coaching or practice. 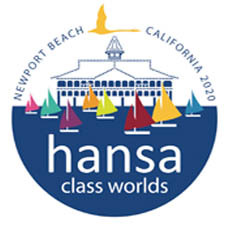 Full results on the Hansa Class UK website.